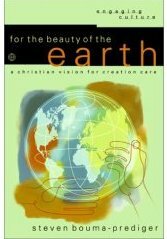 Young-Earth creationists (YECs) attempt to squeeze most of the geological record into the brief span of Noah’s flood, even though the Bible does not state that the flood was responsible for Earth’s sedimentary rocks, and does not even require that the flood covered the entire Earth (read more here and here). There is an important exception to this, however. Glacial sediments and other deposits of the Pleistocene Epoch—the “ice age” —are usually considered to be post-flood deposits by YECs. I continue to wonder whether the folks at AiG are working to make Christianity look as foolish as possible, even while claiming their aim is to promote it. Like much else in YEC geological thinking, there are many problems with this article. The geological, paleontological, and archeological records left by Pleistocene Epoch events and organisms are both detailed and complex; and difficult—or impossible—to compress into the suggested YEC timetable. A simpler solution would be to stick to what the Bible actually says about ice ages, which is nothing at all. The whole idea that the ice ages can be tucked into a 250-year period following Noah’s flood is an unnecessary imposition on the text of Scripture, and scientifically indefensible. 2350 to 2250 B.C. — Antarctica becomes covered by forests, then gets covered by its ice cap. 2250 to 2000 B.C. — Ice age on the rest of Earth. approx. 2300 B.C. — First mastadons. 2250 B.C. — First human tools in archeological record. Tower of Babel. approx 2200 B.C. — First woolly mammoths. approx 2200 to 2100 B.C. — Age of the Neanderthals. approx 2150 B.C. — Humans migrate into Australia. approx 2100 B.C. — Humans migrate into North America. 2000 B.C. — End of the Ice age. Abram born. 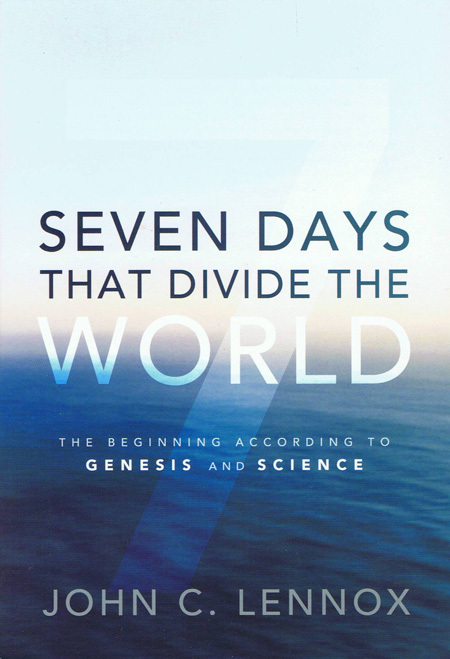 The authors give a variety of “Bible facts,” “geological facts,” and “archeological facts” to support the timeline. Extent of Northern Hemisphere glaciation. Formation and melting of ice caps. According to the YECs, the ice ages would have begun with the accumulation of ice several kilometers thick over much of North America and Northern Europe, as well as ice caps over many mountain ranges elsewhere in the world. YECs propose that there was extreme snowfall in polar areas during the first part of the ice age. In order to form a 3000 meter thick ice cap over North America, as much as 30 kilometers of dry powdery snow would need to accumulate and compact (powder snow has a density about 1/10 that of glacial ice). Less snow would be required if it were not powder snow, but powder snow is a good assumption based on modern precipitation over ice caps. If the continental glaciers took 100 years to form, this would be 300 meters of snowfall per year. Not only would the ice need to accumulate in a short amount of time, it would need to do a tremendous amount of erosion and deposition to create Earth’s diverse glacial landscapes, and then entirely melt away, perhaps in a few decades. YECs have a hot-ocean proposal for causing the intense precipitation; I have not read their proposal for melting the ice in only a few decades. Multiple glaciations. Geologists believe that there have been multiple periods of glaciation during the Pleistocene (such as the Wisconsinan, Illinoian, and various pre-Illinoian glaciations), separated by warm interglacial periods. YECs advocate that there was just one ice age, perhaps with some fluctuations along the margins of the ice sheets. If there were only one glaciation, something had to happen that would make geologists think that there were multiple periods of continental and alpine glaciation. The evidence for multiple advances and retreats of the continental ice sheets includes deposition of non-glacial sediments such as wind-blown loess in between glacial till layers, presence of volcanic ash layers and well-developed soils between glacial deposits, and temperate forest fossils deposited between layers of glacial sediments. YECs either ignore this evidence, or state that there must be some alternative explanation, but the evidence is clear: there was not just one ice age. Ancient soils. There are many places where soil layers formed during the Pleistocene, including instances where there are multiple, stacked paleosols, like in the Palouse Loess of Eastern Washington. Some exposures of the silty, wind-borne Palouse deposits have as many as nineteen well-developed ancient soils stacked on top of each other, implying alternating periods of silt accumulation and soil development, each of which would take time. The soil horizons include animal burrows and root casts, which indicate the passage of time. The paleosols in areas of dryer climate in the Palouse contain typical semiarid soil features such as petrocalcic horizons (a calcite-cemented layer at depth within the soil), which form in the advanced stages of the soil forming process. Extent of the Lava Creek B ash from Yellowstone Caldera, 0.62 million years ago. There were less dramatic, but sometimes still enormous, lava flow eruptions before, between, and after the three caldera eruptions. For example, long after the third supervolcano eruption, the caldera filled in stages with approximately 1000 cubic kilometers of rhyolitic lava. After all of these caldera eruptions, as well as after the massive rhyolite eruptions that occurred after them, the Yellowstone Plateau became covered by an ice cap of its own. When did this happen in the YEC calendar? Not only was there an ice cap that formed after the final volcanic activity in Yellowstone, there are glacial deposits that are older than some of the volcanic rocks. Therefore, the YECs somehow have to explain a sequence of smaller eruptions–supervolcano–smaller eruptions–supervolcano–smaller eruptions–supervolcano–glaciation–smaller eruptions–glaciation, all in 250 years. It wasn’t just Yellowstone. Other Pleistocene supervolcanoes include Long Valley Caldera in California, Valles Caldera in New Mexico, Taupo in New Zealand, and Toba in Indonesia. 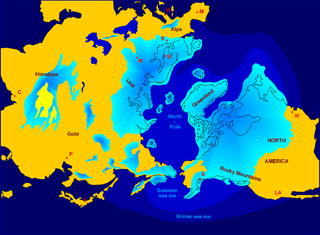 According to this YEC ice age model, all of these had to erupt between 2250 and 2000 B.C.! Hyperevolution. According to the YECs, there was very rapid diversification of life forms after the flood. There may have been a few thousand “kinds” of animals on Noah’s Ark, but these evolved into the tens of thousands of species that were on Earth during the Pleistocene (I’m just thinking of vertebrates). An example mentioned in the article is the diversification of the “elephant kind” into elephants, mastodons, and woolly mammoths. How many generations would this have taken? This all happened between 2350 and 2200 B.C., an evolutionary explosion that would make your average punctuated equilibrium advocate blush. This is especially true for mastodons, who have a very different tooth structure from that of elephants and mammoths. Human prehistory. The YEC ice age model compresses all of human prehistory—Neanderthals, paleolithic, neolithic, and all ancient history before 2000 B.C—into the time from the flood (2350 B.C according to their time chart) to Abraham (2000 B.C.). It looks on their poster like the Neanderthals were around for roughly 100 years. The YECs have to completely ignore archeological sites with multiple levels of habitation. Human expansion. Humans had to multiply, differentiate into races, and migrate from Ararat and Mesopotamia to the entire world in 250 years. The poster’s timeline has humans entering Australia around 2150 B.C. and North America around 2100 B.C. This happened while supervolcanoes were erupting and either snow was accumulating by tens to hundreds of meters per year over parts of North America, or the landscape was being flooded by rapidly melting ice sheets. No wonder the boy to the right is running! According to this YEC ice age scenario, Northern Hemisphere glaciation started about one hundred years after Noah’s flood. At the beginning of the YEC ice age, the surface of Canada and the Ohio Valley would have been mostly barren, with little vegetation and even fewer animals, as they would have had to multiply and migrate from Noah’s Ark. However, there is an abundant and complex fossil record—of both animals and plants—from the time before continental glaciers appeared on North America. There is a continuity in the fossil record from Pliocene to Pleistocene flora and fauna that is completely inconsistent with the YEC story. As a matter of fact, the types of landscapes and biomes in the ice ages were very similar to those present on Earth today, they were just all compressed toward the equator. Moving from northern Canada to Central America during the Pleistocene, one would have transited ice caps, tundra, boreal forests, temperate forests or grasslands, subtropical forests or deserts, and tropical forests, just like today. The locations of these would have been different—further south in general—but the plants and animals would have been very similar, minus a few well-known species that have gone extinct, such as mastodons and sabre-toothed cats. 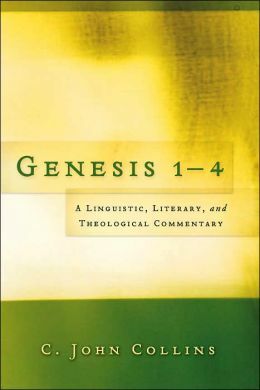 I agree that Genesis is describing real historical events, such as Noah’s flood, the Tower of Babel, and the life of Abraham. I disagree with the interpretation that the flood was global, as well as the idea that it had anything to do with the formation of the geological record. The Bible is completely silent on the topic of glaciation or ice ages. The issue of whether or not the genealogies in Genesis were meant to be complete is a matter for debate. At the most, the chronologies in Genesis might give us a timetable for Noah’s flood, which I believe was a local flood, though one that seemed universal to Noah. Many conservative Bible scholars (and even prominent YECs such as the late Henry Morris) believe that the biblical chronologies are more flexible. It is a huge and unjustifiable leap to go from this timetable to inserting a massive ice age into a 250-year period. This paragraph refers to a period of 100 years. That is one hundred years for Earth’s surface to recover from the flood, soils to form, plants to disperse (somehow temperate North American plant seeds all end up in temperate parts of North America, Asian plants ended up in Asia, etc. ), ecological succession to occur at various locations, animals to multiply and migrate to their appropriate biomes and continents from their starting point in Turkey (kangaroos somehow knew to hop to Australia, where pre-ice age kangaroo fossils are found), all while volcanoes were erupting, hyper-hurricanes were brewing, and hundreds of meters (in some cases) of Pleistocene sediments were depositing. 5. So it is reasonable to conclude that the start of the Ice Age in the Northern Hemisphere (the Pleistocene) roughly coincides with the Babel judgment, around a century or so after the Flood (perhaps 2250 BC). No it isn’t. Look again at the serious geological problems I outlined above. The Bible is not about the Pleistocene. When Abraham was born in Ur, migrated to Haran, and then to Canaan—with a side trip to Egypt—these were all homes to well-established civilizations with long histories and sizable populations. Nothing in the Bible or archeology hints otherwise. The city states of Mesopotamia were not just getting settled after a few hundred years of geological chaos. The Mesopotamian plain was pretty much the way it had been described back in Genesis 2, without a catastrophic makeover. Abraham was firmly planted in the flow of human history, which had been going on for a few millenia before him. These settlements and campsites have a complex history, with many signs of long-term use, often with multiple levels of occupation that cannot be crunched down to the YEC time scale. The Bible says a good amount about the languages, culture, and migrations of people in the ancient Near East—the nations listed in the Table of Nations in Genesis 10—but it does not go beyond that. This is YEC hyperevolution in action. Again, how many generations did it take to get from “cat kind” to lions, tigers, jaguars, cougars, sabre-toothed cats, and house cats? As I already mentioned, the Neanderthals would have lasted for about 100 years. In this time frame the YECs have to compress the various Neanderthal morphologies, as well as signs that various tool technologies developed in one area and spread to other areas. Many Neanderthal archeological sites have multiple levels of occupancy, which is difficult to cram into 100 years. Again, the YECs are compressing thousands of years of history into a century. If the demise of the Neanderthals was in 2100 B.C., then the entire Neolithic, with its “stone age villages,” lasted from 2100 to 2000 B.C. At the end of this brief stone age, there were full-blown city states in Mesopotamia. We know from the geological record (not the fossil record as much) that the Pleistocene had times of flooding but also times of dryness, times of dust storms (loess deposits) but also times of landscape stability (soil formation), and supervolcanoes, but also soil development and other geological processes between eruptions. But we do not know any of this from the Biblical record! Perhaps that is a sign that the Bible is not about the Pleistocene after all. Whatever the relationship is between the Bible and the ice ages, this is not it. Fortunately there are better ways to think about the Pleistocene Epoch in relation to the Bible. The most important thing to keep in mind is that the Bible says nothing about ice ages. One could possibly say, “I don’t know when the ice age occurred.” That would be better than presenting bad science as Christian apologetics. One could allow there to be a tension between “I believe the Bible teaches a young Earth” and “Science seems to tell a story of an old Earth.” That might not be intellectually satisfying to many of us, but it would also be better than presenting bad science as Christian apologetics. One could say that there is only an appearance of age; that this is all part of what God created in the beginning. That raises interesting theological questions, but this too would be better than presenting bad science as Christian apologetics. At a minimum, I would hope that YECs would be willing to budge a bit on the chronological certainty proclaimed by some leading YEC writers and speakers. Henry Morris was willing to do this. This would help YECs to avoid what appears to the rest of us as chronological absurdities, such as Neanderthals existing for only a century between 2200 and 2100 B.C. There is the old-Earth creationism of Hugh Ross. The science of the Pleistocene and earlier ages stays intact, and he advocates the unity of the human race including the Tower of Babel. 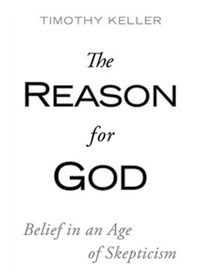 This would be far better than presenting the bad science of YEC as Christian apologetics. There are those who advocate non-concordism, the idea that there isn’t a whole lot of overlap between Genesis and geology. Many of these scholars hold to Biblical inerrancy. Some of them don’t (C.S. Lewis for example) but are still well within the bounds of Christian orthodoxy. This would also be far better than the hyperliteralism that leads to hyperevolutionary YEC being presented as Christian apologetics. 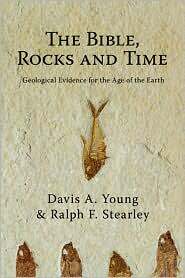 The geological problems that confront the YEC ice age scenarios are the same as those that plague all of YEC flood geology: Too many events, too little time. In the span of a few centuries, soils develop, forests grow, animals migrate from Ararat to the entire Earth, animals evolve at a very fast rate, the Antarctic ice cap forms, Earth is plunged into an ice age, supervolcanoes erupt, supervolcanoes erupt again, and again, an ice cap forms over Yellowstone (I guess it cooled down rather quickly), humans migrate everywhere in a time of geological chaos, all the ice melts, and Abraham arrives on the scene in a setting where it seems like none of this happened! My fear in writing a critique like this is that someone who has been steeped in YEC ideology will have their faith crushed when they see that an important aspect of YEC does not work. They have been taught that if YEC isn’t true, then neither the Bible nor Christianity is true. This is a false dichotomy. Christianity does not need to be propped up by faulty apologetics. 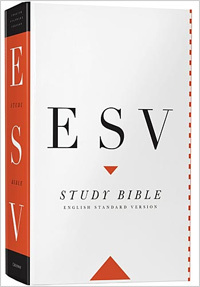 Christianity—and the truthfulness of the Bible—is not dependent on the YEC chronology. There are and have been many Christians who reject YEC and who are thoroughly orthodox in their beliefs, such as Charles Spurgeon, Francis Schaeffer, John Piper, and J.I. Packer. 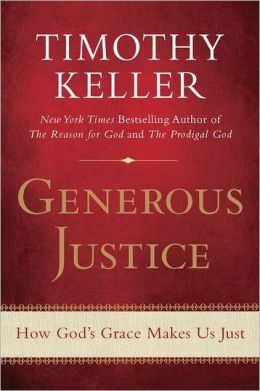 Many of Christianity’s leading defenders, such as C.S. Lewis, Timothy Keller, Norman Geisler, and William Lane Craig accept an old Earth. My other fear is that no one would write a critique like this. Bad apologetics—and there is little doubt that YEC is bad apologetics—can cause believers to abandon their faith (hence many of our youth are “already gone”), and put an unnecessary stumbling block before non-Christians who might otherwise be open to the gospel. My wish is that nothing I have written be taken as an attack against the authors or any other YEC. Ken Ham — Do Old Earthers and Young Earthers Agree On Anything? I would rather get the gospel right and geology wrong than get geology right and the gospel wrong! According to Collins and Collins, Snelling believes the ice over North America was only 700 meters thick rather than up to 3000 meters thick as glaciologists believe. This thinner ice sheet would not have had the same dynamics as a thicker ice sheet, meaning that it would not have spread as rapidly (and YECs like things to move along quickly), and would have had different patterns of erosion and deposition than what is observed in the landforms and deposits of the glaciated areas. They also report that other papers by Vardiman, Snelling, and Oard suggest that the ice age lasted between 500 and 700 years. That doesn’t help the YEC cause much. There are still too many events, too little time. Since I spent some time discussing Yellowstone volcanism, I’ll mention that some YECs argue that volcanism hit a peak during the flood, and has been tapering off since then. The Institute for Creation Research published an article entitled Volcanoes of the Past, which I critiqued last year in Young-Earth creationism and the intensity of volcanism. The excellent blog Naturalis Historia has a post on the Toba supervolcano, which erupted a volume of 2800 km3 of tephra about 74,000 years ago. Ash deposits from this eruption lie on top of human artifacts in India. In the YEC ice age chronology, that means that the Toba eruption had to occur after the Tower of Babel, so some time after 2250 B.C. Neanderthals or Neandertals? I used the spelling used by Snelling and Matthews. The Northern Hemisphere glaciation map is from Wikipedia http://en.wikipedia.org/wiki/File:Northern_icesheet_hg.png, and is based on a USGS map. The reference to 19 paleosols in the Palouse Loess is from Busacca, 1989, Long quaternary record in eastern Washington, U.S.A., interpreted from multiple buried paleosols in loess, Geoderma 45, pp. 105-122. Dr. Busacca was on my M.S. committee in graduate school, and I worked on volcanic ash layers in the paleosols in the Palouse Loess for my research project. Around the web — 4/7/2013 — Archean jellyfish? Homeschool uncritical thinking? An atheist’s journey! What struck me when I first read the AIG article is the contradiction of approach to ‘historical’ science that Snelling/Matthews use. It’s obvious they relied on evidence from the historical science of geology for the details of the ice age that they use. However they then reject any evidence that goes against their timeline or theory. Using their feedback form I asked about this contradiction. Troy Lacey (no title or position given) responded but he seemed to avoid answering the question. When I tried to follow up either the correspondence was broken (their system isn’t very good) or he simply didn’t get back to me. As a hydrologist in the National Weather Service (now retired), I read with interest Larry Vardiman’s articles that came out a few years ago (http://www.answersingenesis.org/articles/arj/v3/n1/yosemite-pineapple-express , http://www.answersingenesis.org/articles/arj/v3/n1/numerical-simulation-precipitation-yellowstone) about how snow could have piled up in a few hundred years to the depths attained by glaciers in Yosemite and Yellowstone. I quickly noticed that he forgot one critical point – figuring out how much snow would be necessary a the heads of glaciers to keep the glaciers flowing long enough to carve out their U-shaped valleys. Piling up snow is one thing, having enough to keep glaciers moving for long enough to do the actual carving work is quite another. Thank you very, very much for this in-depth critique and look at the scientific aspects of the model. I have already found it extremely useful. I love when you write posts like this one. A reasoned analysis as usual. Its seems the more AIG tries to explain the details the less sense it makes. As I read your comments I couldn’t help but think about those submerged settlements off the gulf coast of Florida. Since they are under 50 feet of water the native americans that resided there must have been present during the last ice age. So YECs have the dispersal of Babel at the beginning of this ice age and then in 100 to 150 years they migrate over all the continents. They go across the Alaska and all the way down to Florida and establish communities there in just 150 years. Why would people have migrated at such incredible rates? And all this happens within just a couple of generations. In order for the population sizes to get where they are expected YEC have to postulate high birth rates and large families but if you are giving birth to a baby every year are you really traveling 50 or 100 miles each year and having to establish a new home. There was plenty of habitable land well before getting to Florida (in China for that matter) and so no reason to move. On top of all this there are thousands of arrowheads in these offshore submerged settlements suggesting they were inhabited for a long time but by the time they would have made it to FL the ice age would have rapidly been ending and they would be moving away for these beach sites. Just boggles the mind how poorly this hypothesis fits any data. He provided a link to Michael Oard’s book ‘Frozen in Time’ chapter 11 (http://www.answersingenesis.org/articles/fit/only-one-ice-age) to back up his point. I understand the YEC leaders (e.g. Snelling) not wanting to have their direct email addresses generally known. They would get quite a bit of garbage to sift through, which would be quite wearying. I think that is why Ken Ham’s blog doesn’t allow comments (so is it really a blog? ), and most YEC blogs require moderation on comments. “No evidence of multiple ice ages — period!” — That is quite a statement. It would be one thing for him to take the position that there is no good evidence, but to say that there is no evidence? “Few scientists dare risk their careers and grant money to point out the theory’s glaring contradictions.” — Scientists make their reputations by overthrowing ideas. “It may come as a surprise to many people, but there is strong evidence there was only one fairly recent ice age.” — It comes as a surprise to me, as one who did Pleistocene research for my Master’s degree. (Some are starting to wonder if I was alive during the Pleistocene). “For snow to survive a summer in the northern United States, summer temperatures would have to drop to an average of about 20°F (-7°C), 50°F (28°C) below normal, and the snow needs to be regularly replenished.” — This is rather irrelevant to the initiation (indeed a difficult task) and sustenance of the Laurentide ice sheet. What was most important was the summer climate of areas like northern Quebec, where the heart of the continental ice sheet was, not areas where melting exceeded accumulation, such as the northern United States. “Sugden and John state in reference to ice ages other than the last: ‘We shall not, therefore, consider these [previous] glaciations in any detail — a task which would in any case be difficult because of the scarcity of supporting evidence. '” — I looked in Sugden and John’s Glaciers and Landscape. They proceed after the quoted section to describe the evidence for multiple glaciations, but not in as much detail (as they said) as for Wisconsinin and equivalent glaciations. in multiple ice ages, the debris should be bulldozed farther and farther from its source. — Glaciers generally do not “bulldoze” material. Pingback: Really Recommended Posts: 6/7/13- Mormonism, The Ice Age, and more! | J.W. Wartick -"Always Have a Reason"
Pingback: The Rocks Cry Out: A visual journey on a lake and its implications for the age of the earth | J.W. Wartick -"Always Have a Reason"
When I saw the ‘poster’ you have here on AIG last year, my jaw dropped at the timeline. Mastodons to Mammoths in a hundred years, random Neanderthals, implicit dispersion and evolution that is simply impossible. Thank you for summing up this and getting enough detail to make the point clear of how silly AIG is being. If creationists are to be laughed at for believing the ark story, they are worth ridiculing for making up stories that aren’t even in the bible and calling them true and bible-based. John — It looks like you are quibbling about the details of Snelling’s time line, while I say that the whole time line is Biblically unnecessary, as the timing of pre-Adamic events such as the Pleistocene are simply not a topic that the Bible addresses. I would go a step further and say that the peoples listed in the Table of Nations in Genesis 10 are almost all identifiable as belonging to the eastern Mediterranean and Ancient Near East, which is consistent with a local flood, not a global flood. To try to squeeze British and Irish tribes, not to mention everyone from Aleuts to Zulus, into Genesis 10 is a stretch of what the Bible clearly teaches. Interesting article. A new book says Babel was on what we would call Pangaea. That would make it easy to spread out in the world at the time. I want to start out by saying that I just found your blog and so far it has been very helpful. I am a high school science teacher. In my school, a decent percentage of families that send student here are in the Young Earth camp where I am in the Old Earth camp. To them, this issue is a matter of salvation, which I do not agree with. I was directed to this article after having a conversation about human caused climate change. In this conversation I talked about much of the evidence to support human caused climate change. We ended the discussion with her saying that she understands what I was talking about, but still isn’t sure where the ice age(s?) fits in and if human interference is even a bad thing or at least that compared to the warming after the flood this current trend is no big deal. How would you suggest responding to this?